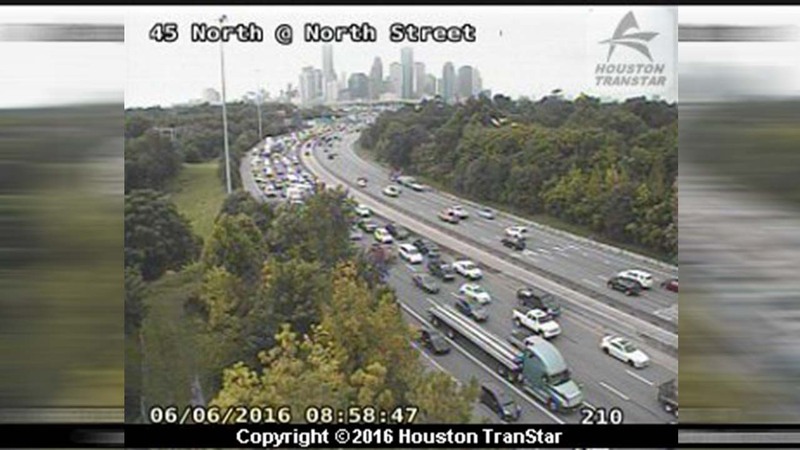 HOUSTON (KTRK) -- I-45 northbound before the 610 North Loop has re-opened after a fatal wreck had it shut down for more than two hours this morning. The accident happened at around 7:50. One person, only identified as a 54-year-old male victim, was transported to Memorial Hermann Northwest Hospital, where he was pronounced dead. According to police, that victim was driving northbound when he may have suffered a medical emergency and struck a gray van. That driver then struck a center retaining wall and began traveling backwards before striking another vehicle. In all, four vehicles were involved. No one else was injured.